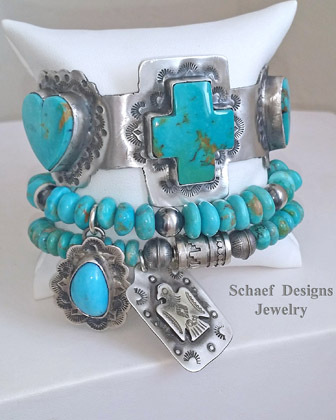 Hearts & Crosses are an important part of Southwestern jewelry...especially if they are Kingman turquoise. 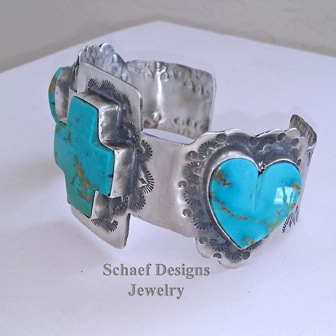 This fun Hearts and Cross cuff bracelet embraces the Southwestern style. 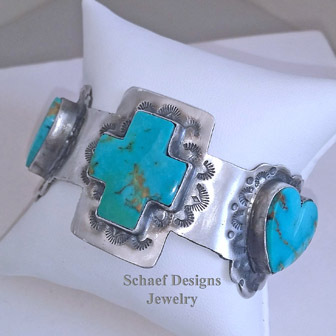 Super comfortable and easy to wear plus sizes easily to your wrist. See how nice it looks stacked with other bracelets. So versatile! 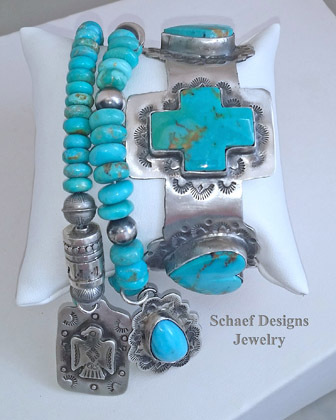 Scroll to the bottom of the page for more beautiful Southwestern & Native American turquoise jewelry. Bracelet measures 5 3/4 inches inside circumference with an additional 3/4 inch gap. 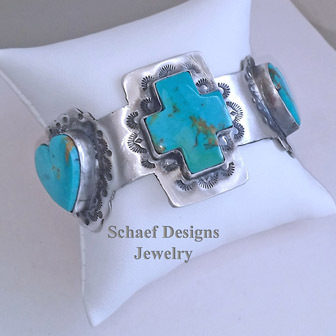 Bracelet measures 3/4 of an inch from top to bottom and 1 1/2 inches at the tallest part for center cross.